Resolved compativility bug between VS11 and VS2010. VSGesture for VS11, VS2010 is now available for download. 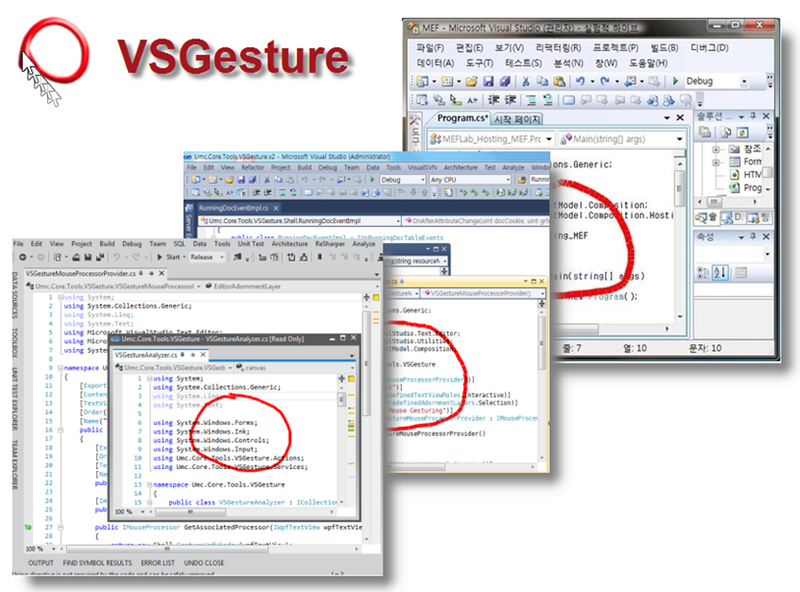 VSGesture can execute command via mouse gestures within Visual Studio2010. If you have any feedback, please send me an email to powerumc at gmail.com.